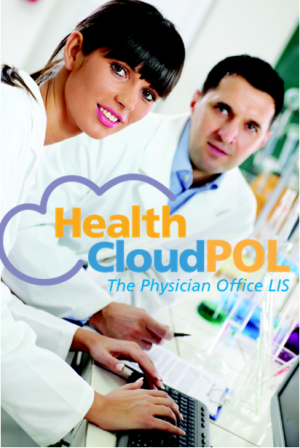 The HealthCloud POL Manual is your comprehensive guide and resource for learning about, using and supporting the HealthCloud Physician Office LIS (Laboratory Information System), or HealthCloudPOL, from LabLynx, Inc..
HealthCloud POL is the LIS version of the LabLynx ELab LIMS, developed specifically for the Physician Office Laboratory (POL). Like all versions of ELab, it is web browser-based so that users access it according to assigned access profiles over the Internet or an Intranet (LAN/WAN). It is designed to be a robust, easy-to-use system for managing patient specimens and their in-house analysis and results reporting. LabLynx understands that the lab and its data management app are not the center of the medical practice, but rather an addition aimed at reducing costs, increasing income and saving time while also reducing inaccuracies and errors. That’s why HealthCloud POL has been designed specifically for no-frills, friendly and simple operation – while retaining professional-grade functionality. It also is designed with the ability, if you choose to subscribe to the Standard Edition, to scale up and out as you grow, so you’ll never need another laboratory information management system. Basic – This is the fundamental level of need for an LIS, driven largely by regulatory compliance requirements. It includes the ability to store documents – SOPs/methods, CLIA reports etc. – and generate and archive patient result reports. The tracking of specimens, flagging of out-of-range results and other core LIS functions are also present, and utilized to varying degrees by labs. Instrument Integration – When adding functionality, this is usually the next level. It adds another level of automation that eliminates the need to manually enter assay results, thus saving time (money) and vastly reducing the risk of transcription errors. EHR Integration – This tends to be the more costly of the two main types of integration, since typically both the LIS vendor AND the EHR charge fees to interface. As the least margin of ROI and least immediately necessary (the LIS produces reports and these can continue to be scanned into the EHR if desired, or else merely accessed directly from the LIS), this is often the final tier of automation. In addition to these main areas of LIS functionality, proprietary configurations and customization may also be applied to provide functionality tailored to specific POL preferences and needs. And integration and scalability options are becoming increasingly important, especially among Urgent Cares and other POLs who are moving in the direction of providing more complete one-stop services – in effect becoming mini-hospitals for out-patients. There is no limit to the number of users in HealthCloudPOL, so you can scale up to as many workstations as you like, and even work from home. The Standard Edition of HealthCloudPOL allows you to make use of any of a number of Optional Plugins as well, so you can add both functionality and capacity, including integrations. This manual is more than a user guide for the HealthCloud Physician Office LIS. It includes everything from information about POLs generally to CLIA, HIPAA, Meaningful Use and other regulatory compliance topics, HealthCloudPOL Support Resources, guides to LIS Planning/Requirements with an LIS User Requirements Specification (URS) from the Laboratory Informatics Institute, Implementation, Operation and more, with Glossary, Report Examples, FAQ and more. All accounts get access to the HealthCloud Community Forums (see Community Resources) where you can submit any questions, issues etc., access FAQs and discuss topics with other users. And if you are a subscriber to HealthCloudPOL Standard Edition, any time you need support, have questions or need any kind of help, the Help Desk is your instant resource for contacting LabLynx, Inc.. It’s always available 24/7 online, and every ticket you submit alerts support staff immediately, and is reviewed and actioned. 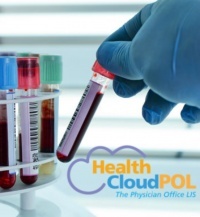 Whether you are reviewing and considering HealthCloudPOL or are already an account member, we welcome you and hope you enjoy making use of the many features and benefits your free membership provides, or add to those by subscribing to the Standard Edition, with options and levels designed to make sure you need never look elsewhere to meet all of your POL needs.